Posted in Anti-Semitism, Anti-Semitism, Blog, Combating Hate, Communal Security, Hate Crimes, Interfaith, Muslim & Arab. 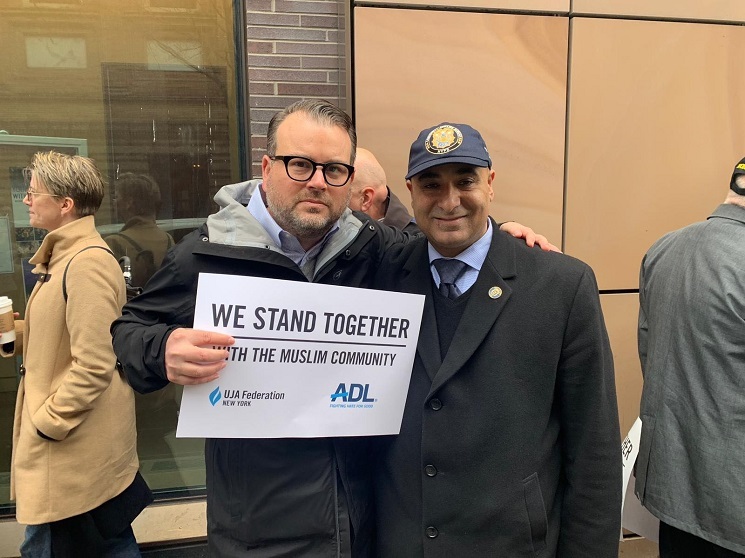 One week after the shooting, ADL regional and national staff gathered at the Islamic Center at NYU in a show of solidarity with our Muslim community partners. 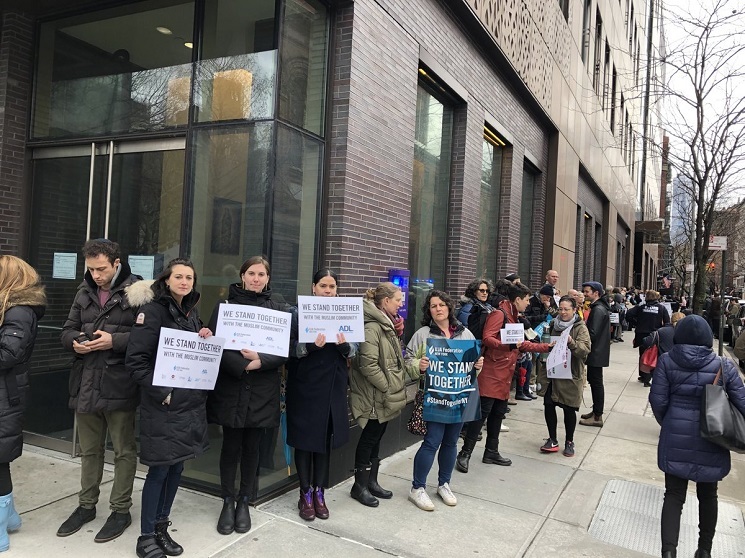 Over 200 people from Muslim, Jewish, Christian and non-secular organizations joined in “Rings of Peace” to decry this and all acts of hatred. 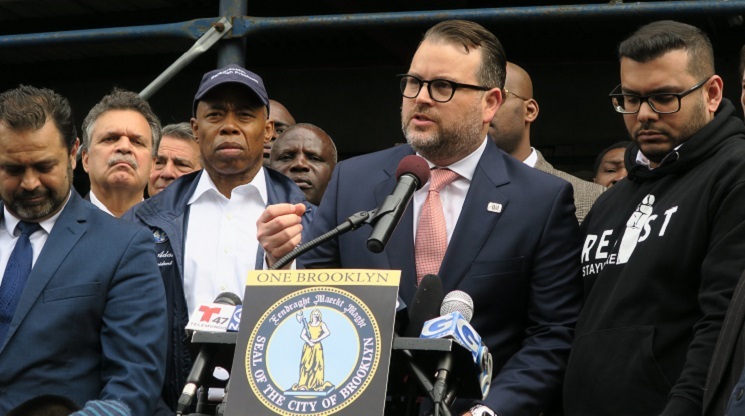 Executive Director if ICNYU and University Chaplain, Imam Khalid Latif offered his thanks to the crowd that lined Thompson and Washington Streets. 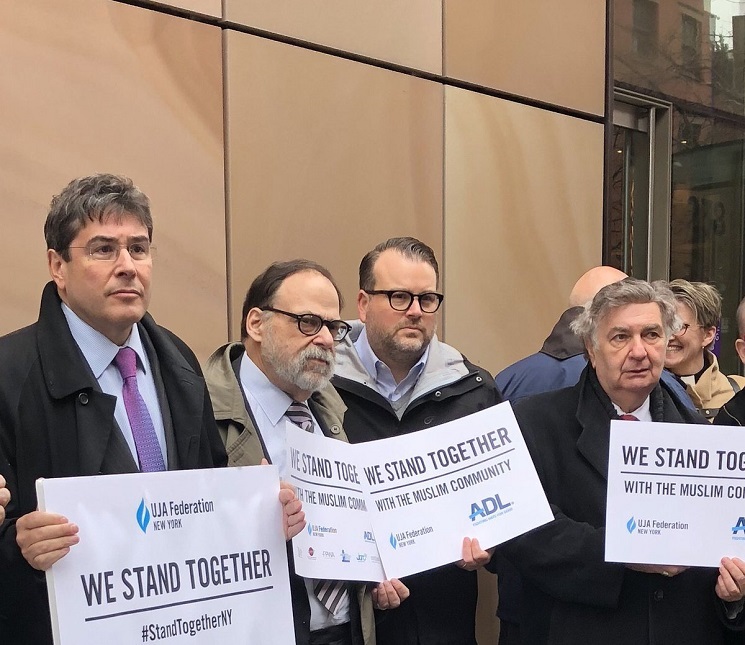 Members from UJA Federation of NY, Catholic Charities from NY, JCRC of NY joined the ADL and others in greeting congregants as they entered the Islamic Center for Jummah prayers.